He liked the sounds of bells (ghanta) and bell-shaped ears (karna) so he was called ghanta-karna mahavir (great warrior). He was very fond of sukhadi (mixture of jaggery, wheat and ghee). He died fighting thieves while saving a group of innocent people who were targeted for threat and robbery. 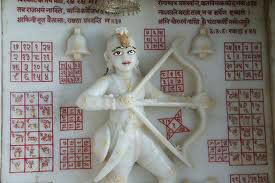 He thus became Ghantakarna Mahavir due to his deeds (karma). 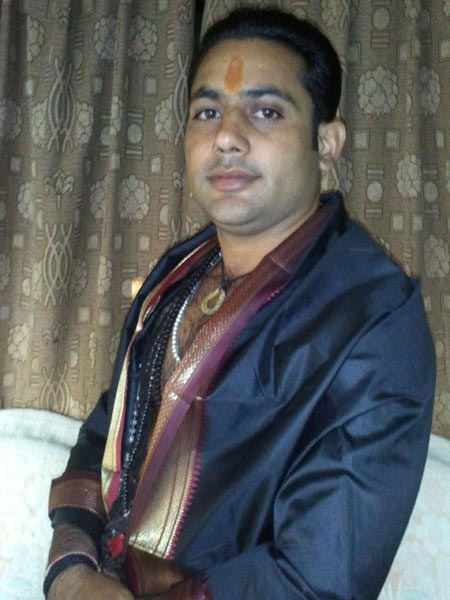 He is venerated as thirtieth Vir (hero) in the list of fifty-two Rakshak Devs ("protector divinity") or Virs. 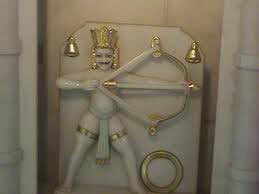 Ghantakarna Mahavir's most important temple is situated in Mahudi. These are given for information and educational purpose only. I don't advocate the use of these mantras.